"I filed an insurance claim. How long will it take for the company to investigate?" Here in Washington state, insurers should generally complete their claims investigations within 30 days unless there are good reasons why that cannot be done. That said, all people involved in the investigation of a claim must provide reasonable assistance -- usually meaning providing information as requested -- so the insurer can process the claim. The law that includes the 30 day standard is WAC 284-30-370. Here are more tips about filing an auto insurance claim, as well as tips on filing a homeowners insurance claim, and tips on how to file an appeal when your health insurer says no to a payment or treatment. We knew it! Actuary named best job of 2013. The jobs website CareerCast.com has named the best (and worst) jobs of 2013. Topping the list (again, yes) is actuary. The ratings, according to this summary in the Wall Street Journal, were based on physical demands, work environment, income, stress and hiring outlook. And there are some surprises on the list. Dental hygienist came in among the top jobs, as did veterinarian. Actors, roofers and dairy farmers are among the worst, no surprise there, but so are senior corporate executives and military generals. The police cited the other driver, but his insurer says I'm partly at fault? How can that be? We get a lot of consumer calls like this. Police have the authority to issue citations based on their interpretation of the accident scene and the rules of the road. Drivers who disagree can make their case in traffic court. But here's the key thing when it comes to insurance: A citation doesn't necessarily establish the issue of negligence, which can include factors including your own driving behavior, weather, speed and visibility. And the reality is that insurers sometimes attribute some portion of fault to both drivers rather than rely solely on who got a ticket at the scene. If an insurer does that, however, they should explain the basis for their decision. Want to know more? Here in Washington state, the law that allows for this apportionment of fault is RCW 4.22, titled "Contributory fault." Here's more about your rights when you file an auto insurance claim, and guidelines on what to do if you're in an accident and what to do if you're hit by an uninsured driver. "Is there an insurance law that says when my car has to be totaled?" Not that we're aware of, at least here in Washington state. That said, we're aware that sometimes there is hidden collision damage to a car that can add substantially to the cost of the initial estimate. With that in mind, insurers may decide to total a car when their initial repair estimate is around 70 percent of the vehicle's current market value. Otherwise, if the repairs are started and costs due to hidden damage escalate another 30 percent or more, they can end up spending more to fix the vehicle than it's actually worth. The short answer: there is no "official" formula in the law for totalling a vehicle. But insurers look at the repair cost potential. If it's close to the value of the car, they may decide not to even begin repairs, and to simply compensate you for the value of the vehicle. How do they establish that value? 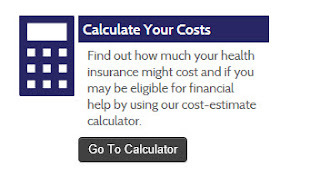 The insurer owes you the actual cash value -- i.e. the retail market value -- of your car. Insurers have to look at local values for comparable vehicles, although with your permission, your insurer can extend the search beyond 150 miles. If you disagree on the value -- and we get these calls all the time -- you can hire an appraiser and go through the appraisal process in your auto policy. If the dispute is with someone else's insurer, you can either file a claim with your own insurer, or you may want to consider taking the matter to court. Please see our "What happens after your car gets totalled" page for much more on totalled car values, disputes, and what happens if you opt to keep your totaled car. Are you an agent or broker wondering what your role will be with Health Care Reform and the Washington Healthplanfinder, also known as the Washington Health Benefit Exchange? We get frequent questions from agents about this. How the Exchanges are set up varies by state. Here in Washington, the exchange is a separate entity from the state's insurance regulator (that's us). The Exchange holds monthly public meetings to discuss agent requirements, business processes and to help determine agent/broker training and certification in order to access the Exchange system. To participate in future meetings and find out what you need to do in order to become Exchange trained and certified, information is posted at http://wahbexchange.org/committees/agents-brokers-tac/. If you want to attend the next teleconference on May 1, 2013 contact the Exchange at info@wahbexchange.org . "My agent told me I had to add all my cars to my policy, even if I don't use them. Is this true?" We are not aware of any Washington state law requiring the addition of all owned cars to a policy. If your agent claims there is -- and we hear this from consumers with some frequency -- he or she should be able to tell you what section of law it is. There is a section of state law (RCW 46.30, regarding mandatory liability insurance) that requires drivers operating certain vehicles on state highways to be able to show proof of liability insurance if asked to do so by law enforcement officers or a court. However, simply owning a vehicle that's not driven doesn't appear to require proof of insurance under that law. If you're driving it around, yes, of course get insurance on it. The fines for driving without insurance are steep, and the potential losses in an accident could be much steeper. For more specifics on the mandatory insurance law, including requirements and types of vehicles that are exempt, please see our mandatory auto insurance page. As you might recall from a post last week, Commissioner Kreidler is recovering from planned heart surgery on April 2. His doctors had been monitoring his health status over the past several months, leading to the scheduled bypass and valve-replacement surgery. He's doing very well. After three days of recovery at Providence St. Peter Hospital, he returned to his home in Olympia on Friday. Like most people who have major surgery, he's happy to be home with his family, and pleased that things went so well. He's been checking in regularly via phone and email, and appreciates the cards, emails and Twitter messages of support. He wanted to be sure that we posted an update here to let folks know how he's doing. During his recovery, the commissioner's duties are being handled by Acting Chief Deputy Deb McCurley, who's been with the agency since 2006. A Cowlitz County woman faces multiple charges after she allegedly ran into another vehicle, fled the scene, and falsely filed reports with police and her insurer claiming that her car had been stolen. Kaitlyn D. Karthauser, 21, was charged March 27th in Lewis County Superior Court with hit and run, second-degree perjury, insurance fraud, and making a false statement to police. On Oct. 20, 2012, around 3:30 a.m., according to investigators, Karthauser was driving her gray Saturn north on Interstate 5 when she rear-ended a white car in front of her. She allegedly pulled over, looked over her car for damage, then drove off. The other driver sustained head and back injuries and was taken to a hospital in nearby Centralia. Troopers discovered the front license plate from Karthauser's car among the collision debris at the scene. About 40 minutes later, the Chehalis Police Department spotted Karthauser's Saturn abandoned in a city park one freeway exit up from where the collision took place. Eight hours later, Karthauser called the Castle Rock Police Department and reported that someone had stolen her car the night before. She signed a theft report. An hour after that, she called her auto insurer and filed a claim for her stolen car. On Oct. 22, when told that the State Patrol would check her cell phone records to determine where she was during the time of the crash, Karthauser allegedly admitted to a State Patrol investigator that she lied when she reported the car stolen. The following morning, she called her insurer and told them the same thing. She said she was driving to a friend's house late at night when she fell asleep and hit the other car. She was jarred awake by the collision, and upon seeing the damage, she said, she panicked and drove off. "My insurer's using values from all over the country to value my totaled car. Can they do this?" And even if you are dealing with someone else's insurer, they still need to look for comparable cars in and near where the vehicle is normally garaged or parked. In March 2014, the cease and desist order against Charles D. Oliver was superseded and replaced by a consent order levying a fine of $5,000 with $2,500 suspended on conditions, based on violations of the insurance code that did not include fraudulent, deceptive, or misleading conduct. Cease and desist order issued to Charles D. Oliver, American Equity Advisory Group, and "the Chuck Oliver team"
A few minutes ago, we issued this cease and desist order telling Charles D. Oliver, American Equity Advisory Group LLC, and "the Chuck Oliver team," as well as their employees, agents and affiliates, to immediately stop selling insurance products in Washington without a license. "In the end, Mr. Minnich and Mr. Oliver sold (the woman) two life insurance policies and an annuity, as part of a complex scheme they call `maximum funding' or the `Missed Fortune' concept. Essentially, the plan was to deposit a large amount of premium into the plans for the first five years, and then stop paying on the contract. "Mr. Minnich and Mr. Oliver told (her) that, if she did not touch the life policies for 10 years after that, she would be able to borrow $75,000 per year against the life insurance death benefit to use as retirement income, without paying any taxes and with minimal or no interest. They told her she would be able to do that without paying any further premiums on the policies, and for as long as she may live. "This is not correct. Based upon the non-guaranteed amounts in the illustrations provided, there is a theoretical possibility that it could occur. However, the guaranteed amounts show that, within a few years (the buyer) would run out of cash value in the policies against which to borrow. This would happen by operation of the loans themselves, in addition to the accrued interest. In addition, the death benefits would decrease when (she) reached certain age milestones. Thus, not only would (she) not be able to use the policies for retirement income, she would also need to pay additional premiums simply to keep the policies in force. Thus, it is vastly more likely that the plan would not have performed as represented to her by Mr. Minnich and Mr. Oliver, and would leave her in a far worse financial state than if she had left her money where it was. "Neither Mr. Minnich nor Mr. Oliver even suggested to (the buyer) that this was a possibility, let alone informed (her) of the extreme risks she was taking." In this case, the premiums amounted to $110,000 a year. The woman, who had minimal annual income, was only able to make the first two years' payments by borrowing from one life insurance policy, cashing in another, borrowing from her IRA, and opening a home equity line of credit. Mnnich and Oliver, according to our order, "knew that she does not, and never did, have the assets to be able to make the $110,000 payments for five years." Our order alleges that these transactions included nearly a dozen violations of Washington state law, including Oliver's selling insurance without a license, selling an unapproved policy, taking a commission without being licensed, describing the plan in a way that could be misleading, engaging in unfair or deceptive practices, and "by knowingly making, publishing or disseminating false, deceptive or misleading representations" of an insurance transaction. The respondents can demand a hearing. The order, which was signed today, takes effect immediately. "My lender wants my homeowners policy to cover the home AND the land value. Can they do that?" No, not in Washington state. Since the land itself is not considered covered property, including it would inflate the cost of your insurance premium. And you could never collect on a claim for the value of that land, since it's not covered property. To preclude such a waste of your premium dollars, Washington state law bans insurers from issuing a policy that includes the value of non-covered land. The title of the relevant section of law says it all: "Over-insurance prohibited." That said, however, you can get a policy for what's called "replacement cost" coverage for your home. With that kind of coverage, you could collect the cost to replace the home in the event that it was totally destroyed by a covered event and had to be rebuilt. And that replacement cost can be more than a home's current market value, particularly if the home is older or in less-than-sterling condition. Questions? The law we're referring to is RCW 48.27.